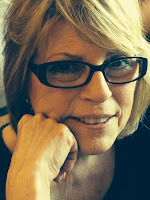 Welcome Bonnie Engstrom to the blog today! She's a talented author who's here to talk about her Christmas story, Noelle's Christmas Wedding. Bonnie touches on important real-life topics in this fictional book. I think that you will enjoy learning more about it in the interview below. But first, here's the blurb for Bonnie's book: Noelle Day finally has the courage to break off her ill-fated engagement with her volatile fiancé and cancel their Christmas wedding. It’s embarrassing, and she has to share the humiliating reason with her friends The Candy Canes. The other five girls were to be her attendants in red taffeta gowns. When she faints and falls into the arms of Braydon Lovejoy, the now former wedding florist, Braydon is confused by her abrupt manner. Who is this beautiful woman with the sepia hair and the huge brown eyes? Is she a damsel in distress as he suspects? He prays for an opportunity to find out. Then he backs his delivery van into her precious red car, and he’s sure she would never go out with him, especially since he was hired to deliver a huge bouquet of roses to her from a secret admirer. Noelle isn’t sure how to respond when Bruce, the school principal, physically forces himself on her. After all, he is her boss, and she’s just a first year English teacher. She finally accepts a lunch date with Braydon, and he takes her to Sherman Gardens in Corona del Mar where she learns he is the local rose expert. But, Noelle worries their friendship is happening too fast and calls a respite. One of the Candy Canes has a tragic accident, and the women bond together. But Braydon, who is not sure why he is involved, becomes their anchor. Will Braydon’s prayers heal the hurts, physically and emotionally? Will the injured Candy Cane forgive the woman who caused her accident, the woman who is related to Bruce the principal? Will Noelle ever have her California Candy Cane Christmas? Enjoy my interview with Bonnie! Alexis: The Candy Canes are Noelle’s tribe of best friends. Why did you give them that name? What’s the meaning of it? Bonnie: I was involved in a proposed novella collection with three other authors; I was assigned to decide the setting and theme of the stories, something that all the others could pick up on. As a group we decided loosely on candy canes and a Christmas theme. When the other authors in the collection bowed out, I was devastated at first. But, it turned out to be a blessing for me because my story became the first book in a series. My own children had been involved in competitive swimming for many years, so swimming came to mind naturally. Now that they are all grown with families of their own, I don’t know what to do with so many shoe boxes of winning ribbons and medals. Here is a description of the Candy Canes: Ten years ago six high school freshmen formed a swim team that became legendary. They won the state relay swim championship four years in a row. In addition to their skill and devotion to daily practicing, they prayed together and vowed to be sisters forever. Another thing that set them apart was they chose their own swimsuits making them a team within a larger team. They chose red and white diagonally striped swim suits. Thus, became known as the Candy Canes. Alexis: Noelle’s ex-fiancé was physically abusive, that’s a serious real-life issue. Do you hope that Noelle’s story will help women in the real world who are being abused? If so, how? Bonnie: All my stories, not just the Candy Cane ones, have some real life issues in them that the heroine has to overcome. I don’t write any of those issues blatantly, mostly just hint at them or have them take place off stage, or as a subplot. Although I’m married to a psychologist and have some knowledge via marital osmosis, I am not an expert in any of the situations. But, I do believe they need to be presented, and with plausible conclusions and ways to deal with them. Alexis: What is the significance of Noelle planning for a Christmas wedding? Bonnie: Her original wedding was to be at Christmas time. Now, she can really plan and have a unique venue for her wedding (public garden). Every Candy Cane book has a unique wedding venue. (I love weddings!) One is in a historical landmark, one on the beach in a foreign country, one in a preschool. Braydon designs the flowers for all of them! Even his own wedding with Noelle. Alexis: Tell us about the hero, Braydon Lovejoy. Describe his looks, talents, personality and explain what it is about Noelle that makes him want to protect and love her? Bonnie: Braydon is handsome, but more than that he is a gentleman and a devout Christian. He notices Noelle’s weakness during their first meeting in chapter one when she faints in his arms. Braydon is the protective type; it’s the way he has been raised. As for his appearance, I prefer to leave that to the imagination of the reader. But, gosh, he is drool-worthy handsome. Alexis: A career as a professional florist is an interesting option for a man. Why did you choose this livelihood for Braydon? Bonnie: Noelle had to meet up with someone (hopefully a man) who was involved in the planning of her original wedding so she could cancel the contract. 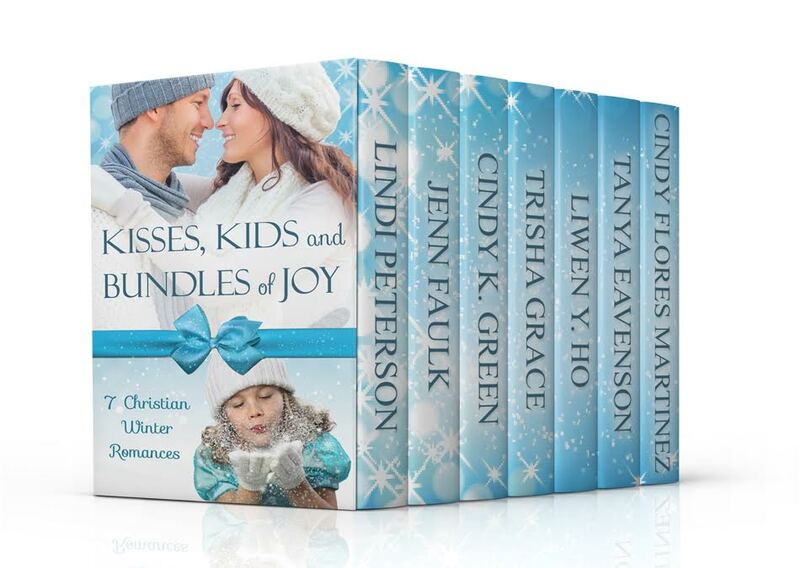 Jill, the real life wedding coordinator who is in every Candy Cane story, arranges for Braydon and Love In Bloom Floral to provide all the flowers. Braydon’s mother, Lydia, owns the flower shop, so she involves her sons in it. He is very creative, and in the next book his brother Rob takes over while Braydon is on his honeymoon. That book, Cindy’s Perfect Dance, is the next story with more life issues. Alexis: Noelle has a boss who is hitting on her and she doesn’t like it. Why was this an important part of the story? Bonnie: Noelle needs to keep overcoming. Not just from Clay, her abusive ex-fiancé, but other situations in her life with forceful men. The boss, Principal Bruce Walker, tries to hit on Melanie in the latest book, Natalie’s Deception, number five in the series. Incidents like this are what make a series ongoing and, hopefully, encourage readers to want to read the entire series to find out what happens next and to the other girls. Alexis: Why did you choose to make Noelle an English teacher? In what ways does it fit her personality and reaffirm her passion for the youth? Bonnie: I was an English major, and I spent over 35 years volunteering in education as a five time PTA president and many times as a room mother. Next to my faith, education is the most important passion in my life. I still volunteer in my grandchildren’s classrooms. Also, she reminded me of my high school English teacher who had a major impact on my writing career. It just seemed natural for Noelle. Alexis: What special message do you have for your readers in this book? Bonnie: That life’s problems can be overcome. Not just abuse, but sticky situations, uncomfortable situations. And, of course, with prayer and trusting in God for the answers as all the Candy Cane women do when they pray collectively. Friendship is so important, especially long-term, prayer-linked friendship. I still have friends and prayer partners from over fifty years ago. Alexis: What was the most fun feature of writing this story? Bonnie: The most fun was writing about Newport Beach where we lived for over thirty years and raised our children. It tugged at my heart. When I first started Noelle’s Christmas Wedding I remembered every street and every restaurant and every beach. Not only has my memory faded but things have changed. So, I needed to do more research and depend on my research assistant, Kerrie, for updates. Alexis: Complete this sentence: If I were Noelle, I’d want ______________ because _________________________. Bonnie: If I were Noelle, I’d want to be part of the Candy Canes when I’m eighty because true friendship never dies. Bonnie Engstrom and her psychologist husband, Dave, live in Arizona near four of their six grandchildren. The other two live in Costa Rica where they surf. But, they share their Arizona home with Lola and Sam, their two rescued mutts in charge of the household. She used to bake dozens of Christmas cookies in November and freeze them so she would have a lot to pass out to neighbors. Now... well, that was a long time ago. Instead of cookies for Christmas, she writes. Her Candy Cane stories set in Newport Beach, California, where her family was raised and where they have many fond memories, are perfect for gift giving. Or, for just cuddling up by the fire for an inspiring romance read. 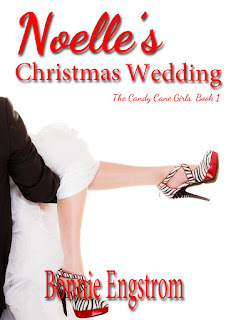 She hopes you enjoy Noelle’s Christmas Wedding and also gift it to a special female in your life. Don’t forget to leave an honest review on Amazon. Connect with Bonnie: Bonnie can be reached via email at bengstrom@hotmail.com. Be sure to put BOOK in the subject line so your post doesn’t float around in her junk folder. Her website is www.bonnieengstrom.com, and she can also be found occasionally on Facebook, although she’s not very astute at it. You can sign up for her Life on the Lake quarterly newsletter on either one. 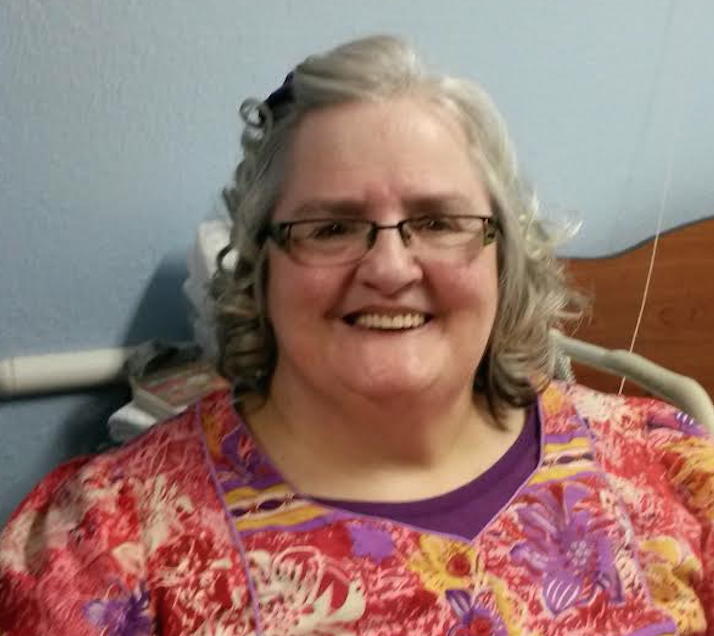 Welcome a dear friend of mine, Angela Ruth Strong, to the blog today. She's written a holiday romance that takes place in Big Sky, Montana and it's beautiful! :) The story is called Finding Love in Big Sky, MONTANA. The last thing Paisley wants for Christmas is to spend time with Josh Lake—the guy who broke her heart in high school—but until her bank loan goes through, she has to take all the free help she can get. Unfortunately, Josh seems to want back in her life again, and the town’s quirky coffee shop owners don’t help by hanging mistletoe at every opportunity. Will Paisley succeed in driving him away, or will she find the healing needed to have hope for a future together? Join me today as I interview the hero of Angela's story, Josh Lake. This is a "character interview". Alexis: Dear Josh, It was so hard to choose to interview either you or the heroine of this story, Paisley. But I find you especially intriguing so I'm excited to interview you! Josh: Thanks for picking me. Paisley answered questions for another interview, so I’m glad I get to share here. Alexis: What is it about Bright Star Ranch that you love (besides Paisley Sheridan)? Josh: It’s beautiful and peaceful, and it reminds me of my youth when life was simple and I hadn’t yet lost my swagger. Alexis: You planned to visit the ranch short-term but you stayed long-term. Why? Josh: I’d worked so hard for success in Chicago, and when I finally got everything I wanted, it didn’t satisfy. It was all about me. Paisley is passionate about making a difference in the world, and I want to be more like her. Alexis: Why were you suspended from your job in the city? How did that make you feel at first? Josh: I’d pitched an advertising campaign to one company and they were about to sign when their competitors came out with the exact same commercials first, which made it look like I had stolen the idea. That wasn’t my fault. But it was my fault that I blew all my money by celebrating my success prematurely so when I was unexpectedly suspended, I had nothing left. Alexis: I believe that your suspension from your job was God working behind-the-scenes to bring you home to Bright Star Ranch. What do you think? Explain. Josh: God does that. When we have a dream and overcome all obstacles to reach that dream, God will ask for the dream back. This is our chance to choose the Dream-Giver over the dream. It’s hard and it hurts, but I can promise if you chose the Dream-Giver, He will give you an even bigger dream in return. Alexis: Josh, you are clearly a swoon-worthy character (I speak for most female readers of your story) but you also seem down-to-earth and dedicated to the greater good. Is there anything about your upbringing that made you such a good man? Share details. Josh: Hey, thanks. As you can see in my previous answers, I’ve been selfish and made some foolish mistakes, but coming back to my roots reminds me of how I was raised in a big family on a Christmas tree farm where we learned to work hard and value relationships. Being the middle child, I often erred on the side of trying to charm people to like me. Having Paisley dislike me so strongly really challenged my self-worth but also forced me to question my identity in a healthy way. Alexis: Are you a man of faith? If so, how does your faith in God impact the way you live? Josh: Yes, I was raised to believe in God, but for a long time, I’d been living my own way rather than His. I guess I was afraid He would get in the way of my dreams. And guess what—He did. But only because He had something better for me. Alexis: What is it about Paisley Sheridan that tugs at your heartstrings? She’s clearly a wonderful woman and I can see why a man like you would be drawn to her, but please do share in your own words why you love Paisley. Josh: She’s tough yet vulnerable at the same time. She’s been hurt, but it’s only made her stronger. I want to protect her, but there’s no way she would let me. In fact, she’s rescued me more than once. Also, she looks good in heels, but she’s more likely to throw them in anger than wear them to a Christmas party. Alexis: The love that you and Paisley share is something that single ladies in the real world dream of! But your road to romance was not easy. Why do you think that it took time for you to win Paisley’s heart? Josh: Paisley’s heart had been hardened toward me for a reason I didn’t understand. It was especially hard to understand when we had such a strong connection. It’s like she was motioning me toward her with one hand while holding me back with the other. I think we all do that more than we realize. We want to be loved, but we are afraid of the risk. This is why we must first accept God’s love. If God is enough for us, then we know we will be okay if others reject us the way we fear they might. Alexis: What were your first thoughts when Paisley offered you free room and board at her ranch in exchange for your advertising expertise? Josh: I was shocked. She’d been trying to get rid of me up to that point. It showed me how much she cared about her ranch, and it made me want to be part of something that meant so much. At that point in our story, I wanted to kill time until I could get back to Chicago, I wanted to avoid confessing my failures to my brothers back home, and I also wanted to get her to like me so I could like myself a little more. Alexis: When your boss offered you a chance to return to your job and lavish lifestyle, why didn’t you? Josh: I realized Paisley was what I’d been looking for all along. Alexis: The town’s coffee shop owners hung mistletoe every chance they got. Were you scared of meeting Paisley under the mistletoe by accident or even on purpose? Why or why not? Josh: I liked flirting with her. And I’d made it pretty clear I wanted to kiss her. She turned me down every time though, and I wasn’t interested in facing the rejection in public. I know Dot and Annabel had good intentions with the mistletoe, but Paisley needed to decide to kiss me on her own. Alexis: What is it about Christmastime in Big Sky, Montana that warms your heart? Josh: Jingle bells. Dashing through the snow. Bright stars. Evergreen trees. Giant fireplaces. And, of course, hot chocolate at the Coffee Cottage. Alexis: What is it about your relationship with Paisley that helped you both find healing and hope for the future? Josh: I had to learn that I couldn’t “pitch” myself like an advertising campaign to get people to love me. Paisley was the opposite. She was afraid to offer anything because she didn’t think she was worth being accepted. We learned the truth through the gift of Christmas and through each other. Alexis: What relationship advice do you have for us single ladies at Christmastime, Josh? Josh: I can set you up with my little brother Sam. Just kidding. He’ll probably be single forever. My actual advice is this: Give. Rather than focus on what you don’t have this holiday season, focus on what you do have. Santa may not have left you a diamond ring, but God has given you many other gifts. And you have a lot to offer. When you give to the less fortunate, you will never feel so blessed and loved. Alexis: Thanks for the interview! It was a delight to spend time with you! Would you like to share closing thoughts? Josh: Thanks, Alexis. It’s been a delight. 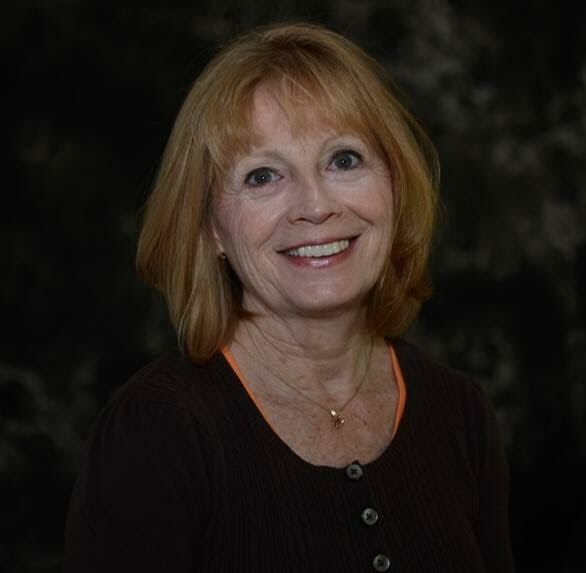 This Idaho Top Author and Cascade Award winner also started IDAhope Writers to encourage other aspiring authors, and she's excited to announce the sale of her first romantic suspense novel to Love Inspired Suspense. Presumed Dead releases in February. She currently lives in Idaho with her husband and three teenagers where she teaches yoga and works as a ticket agent for an airline when not writing. 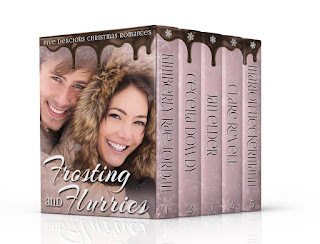 "Frosting and Flurries" contains five Christmas novellas and is available for purchase on Amazon. The other authors in the set are Kimberly Rae Jordan, Cecelia Dowdy, Clare Revell, and Marion Ueckermann. Jan's novella in this boxed set is called Moostletoe. Enjoy your time with Jan today! Book blurb for Moostletoe: Fresh out of divinity school, Rev. Samantha Evans is ready to conquer the world for Christ. She lands in Moose Creek, Maine, a tiny backwater town with more moose per square mile than men. Even worse, one of her new parishioners chews up new ministers for breakfast, and he’s hell-bent on sending her packing. Happily married for thirteen years to loving (and supportive) husband, Steve, the two live in central Maryland along with Jamie (a chubby black and white tuxedo cat), and Shu-Shu (a willowy tortoiseshell cat). On the weekends, Jan and Steve comb the nearby countryside in search of the perfect ice cream flavor. Mix the crushed crumbs and the espresso powder. Add the melted butter and mix well. Press into the bottom of a 9” or 10” springform pan. Chill until ready. Beat the eggs and the egg yolks, and set aside. Melt the chocolate chips and butter in a medium saucepan. Slowly add the egg mixture in 3-4 additions, whisking well after each addition. Transfer to a large bowl to cool slightly. With and electric mixer, beat the cream until soft peaks form. Add the confectioners’ sugar, espresso powder and vanilla, and beat until stiff peaks form. Stir about 1/3 of the whipped cream into the cooled chocolate, mixing well. Gently fold in another 1/3 of the whipped cream. Gently fold in the last 1/3 of the whipped cream until as few streaks remain as possible without deflating the mousse. Pour mousse onto the crust. Freeze until ready to eat. Thaw for about 1 hour before serving. Read the details about Tanya's books below then remember to enter the book giveaway contest by filling out the Rafflecopter widget toward the end of this blog post. Blurb for To Gain a Mommy (book): When Hope Michaels decides to face her past, she unknowingly purchases the house across the street from her former fiancé—the man her twin sister married, then widowed. Fire Captain Carl McGuire can put out any flame, except for the one Hope sparks within him—some things never change. Carl McGuire smiled and shook his head as his eight-year-old son, Brody, held the sheer curtain and stared out the window at some poor, unsuspecting woman across the street. “No,” Mary huffed, moving her younger brother to the side, swiping the tan fabric from him. “What does she look like?” She followed his stare out the window. How conveniently she recalled scripture when it suited. Only last week she totally ignored his comment to ‘obey your parents.’ Even if there was only one parent, it still applied. “Thank you, Mary. I’ll keep that in mind.” Even though his daughter stayed silent, he sensed she wanted to say more but held her tongue, something she’d been doing more often lately. Being a single parent wasn’t easy, but he’d always known where he stood with Mary and what was on her mind. Now he wasn’t so sure and it bothered him. She’d be a teenager in less than six weeks and was growing up much too fast. Every day he’d been noticing little things that reminded him of Faith, memories of what he used to have before she was taken in a hit-and-run. Some days like today were painfully real. Carl blinked twice, pushing his thoughts away as he glanced at the time on his phone. “What do you want to eat?” He stood and slid his cell into his pocket. “Not pizza again.” Mary sank to a barstool. Her lips protruded slightly into a pout. He shook his head to focus on the present and his two hungry children. Walking back into the living room, he yelled, “We ready?” The front door was open. They must be waiting for him by the truck. In an instant, an ear piercing scream cut through the air, straight down the center of his heart. 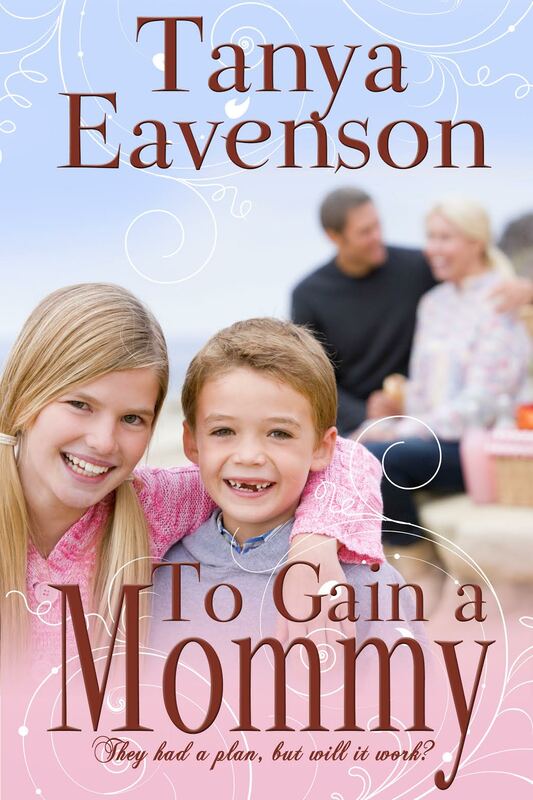 Tanya Eavenson is a bestselling author who enjoys spending time with her husband, and their three children. Her favorite pastime is grabbing a cup of coffee, eating chocolate, and reading a good book. 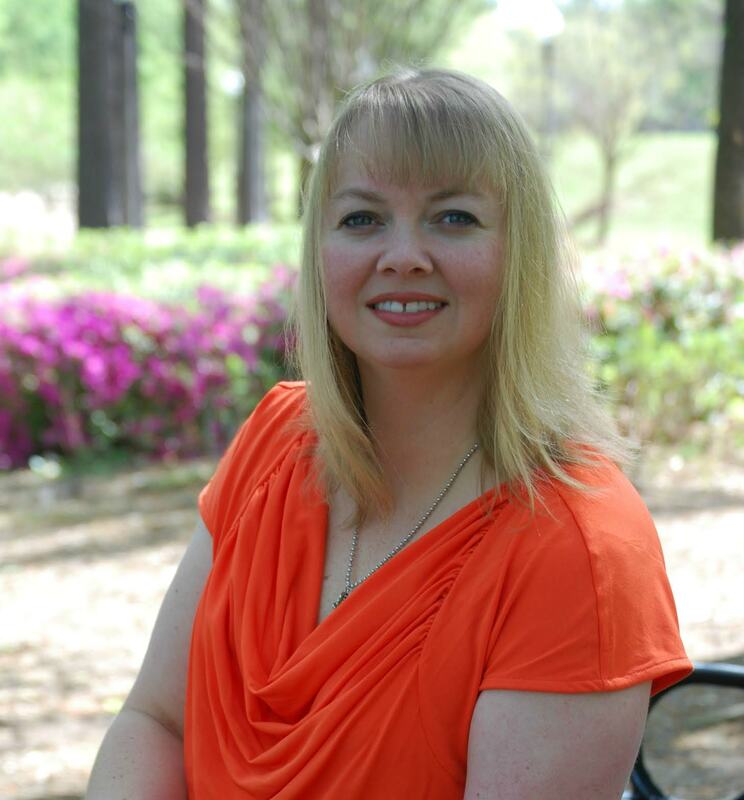 Tanya is a member of American Christian Fiction Writers, Word Weavers International, and writes for Christ to the World Ministries. You can find her at her website http://www.tanyaeavenson.com/ on Facebook, Twitter, Goodreads, Google, or on Amazon. A Prelude to Christmas: Rose's story "Nick's Christmas Carol"
Welcome Rose Allen McCauley to the blog today. She's been here once before and wanted to visit again, this time to share an excerpt from her Christmas story, Nick's Christmas Carol. 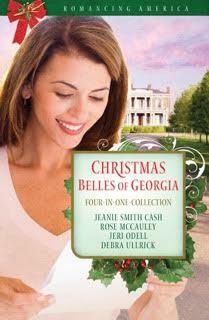 The story is one of several in a holiday collection titled "Christmas Belles of Georgia." Book blurb for Rose's story, "Nick’s Christmas Carol": Raised in a wealthy, loveless home, Carol rushes to Monticello from college in Atlanta when she receives her letter. She’s searching for family, but finds instead a boy she once mistreated. Will Nick remember her?...forgive her? Note from Rose (the author) about her story's excerpt: I need to preface this scene with the reason my hero and heroine are dressed like burglars! The have decided to make Christmas brighter for a young single mom with two little girls and are taking them a gift each day for the 12 days leading up to Christmas. In the midst of helping others, they realize they are falling in love. “Thanks.” He’d used the word love again. This time about her hair. Would he ever say he loved her? She took the mask and pulled it over her hair, only leaving her eyes, nose and mouth uncovered. “Me, too.” She had a lot to learn about this man, but she already knew the important things like his love for God and others. He helped her into the truck. “Maybe it’s the reflection from the tree.” Me and my wise mouth. Right when he might have kissed me. The young mom’s home was only a few blocks from the Warren House. They drove the dark streets in silence. Nick shut off the engine and coasted to a stop two doors down in his minister friend’s drive. “Stay warm inside until I get it untied.” He hopped out of the truck and spent a couple minutes unloading the tree, then brought it around to her door. He tapped on the door—two shorts and three longs. “Okay.” The light brown bird nest near the top glowed in the moonlight. She wished she could be inside when the children noticed it. They quietly situated the tree on the small front porch. Nick motioned her to go on and hide behind the neighbor’s bushes. As she did, she heard the sound of a doorbell then felt two strong arms around her as he slid into place beside her. Phyllis stood on the porch, her arms around each child protectively. “Like Santa’s elves?” asked the younger child. “Yes, honey. God has given us this tree, and we will decorate it to be the prettiest one on the block. I’ll even pop some popcorn and teach you—” The mom’s words faded as the door closed on the happy family. Carol lifted one gloved hand to wipe at the moisture in her own eyes. Surprised to find her other hand warmly held in Nick’s, she wondered when and how it got there. Although he might not know it, he also held her heart. She loved him. Nick loved the wonder on the faces of the two young girls, and the joy and pleasure he read on Carol’s face. I love Carol Peterson. Now what am I going to do about it? You’ll have to read the rest of the story to find out! Rose Allen McCauley has five fiction books published now, and this was her first fiction anthology for Barbour. Can you tell Christmas books are her favorites? A retired schoolteacher who has been happily married to her college sweetheart for over four decades, she is also mother to three grown children and their spouses and grandmother to five lovely, lively kids with one more on the way! Welcome Darlene Franklin to the blog today! She's been here before to share other stories. The most interesting fact about Darlene as an author is that she writes her stories from her residence in a nursing home. Book blurb for Matchmaker Mixup: Pippin Cortland has decided to accept Clint Keller’s invitation to the Homecoming Dance their senior year. She’s said no for the last three years but wants to go at least once—with Clint. 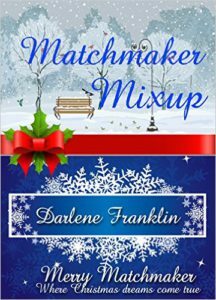 Alexis: “Matchmaker Mixup” is such a creative and adventurous title for a Christmas novel! How did you first create it? Darlene: Matchmaker came from my editor. Our Christmas collection this year is Merry Matchmaker. So, I needed a matchmaker, and I knew I wanted to use the Cortland twins who appeared in an earlier book (An Apple for Christmas). From there, the idea of twins trading place jumped full-grown into my mind. Since I love alliteration (Romanian Rhapsody, Prodigal Patriot), and my story involves the mixup that results when identical twins switch dates at the annual homecoming dance—"Matchmaking Mixup" was the happy result. Alexis: What is your novel about? Darlene: Pippin Cortland has decided to accept Clint Keller’s invitation to the Homecoming Dance their senior year. She’s said no for the last three years but wants to go at least once—with Clint. Alexis: Reading your story was fun but as the author, did you ever get confused in trying to write back and forth from each identical twins’ perspective? Why or why not? Darlene: It was definitely difficult. In the same scene, Clint was calling Pippin “Margil” and calling Margil “Pippin.” Pippin in her thoughts thought of her sister as Margil but had to call her Pippin when she was talking to Clint. Eye-crossing craziness. I asked my editor to pay special attention, as I did, that I kept their names straight. Alexis: Tell us about your heroine Pippin Cortland. What makes her tick? What warms her heart? Who does she love and why? Darlene: Pippin loves poetry. 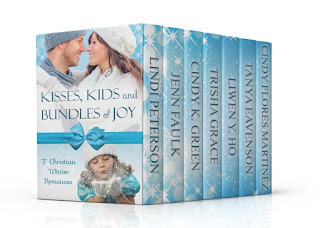 She loves her family, her twin, the Lord—and slowly, to her surprise—Clint Keller. As a child, she always loved telling stories, and she became more withdrawn and shy as she matured. In three years of college, she hasn’t dated anyone, until Margil forces her to date Clint. The more he gets to know “Margil” (Pippin), the more he likes her—such as her surprising athletic skills. Alexis: Tell us about Pippin’s identical twin sister Margil. What is she like? How is she different from Pippin? Describe Margil’s role in this story. Darlene: Margil is Pippin’s opposite. She’s a math major, outgoing. She hasn’t missed homecoming once in their years at the college. Margil accepts Clint’s invitation to the homecoming dance—and later accepts Ned’s invitation as well. She’d rather go with Ned, and she decides to coax Pippin into taking her place as Clint’s date for the night. That’s not as mean as it sounds. She’s tried to get Pippin and Clint together for three years. This is the perfect solution! As Margil expected, Pippin and Clint enjoy each other’s company once they get together. Alexis: Tell us about the hero Clint Keller. Who is he? What does he like and dislike? Why was he in love with Pippin at first but then what made him fall for Margil? At the beginning for the, Clint doesn’t so much fall for Margil as settle for her as the best substitute for Pippin. When he starts to fall in love with “Margil” he thinks he made a mistake pursuing Pippin all those years—until he learns he’s been dating Pippin all along and his initial instincts were right. Alexis: Describe the setting of this story for those who have not yet read your book. What makes it special? Darlene: The book is set at a fictional college in the fictional town of Maple Notch. Using the actual University of Vermont would require more in depth research and resources than I had readily available. This way, I could create courses of study and buildings to my heart’s content. Maple Notch is dear to my heart as the town I created for my 8-book Heartsong series set in Vermont, from the Revolutionary War (Prodigal Patriot) through the present day (Small Town Bachelor). All but one book has been republished recently with Winged Publications and we hope to assemble them into an omnibus collection as soon as I have that last book. Alexis: What was your greatest challenge in writing this novel? Darlene: How long could I string out Pippin’s deception? I didn’t want to create a story where the reader asked, why didn’t they just admit what they’d done earlier? I solved the problem by writing a shorter-than-usual novella (by about 2,000 words). which allowed me to bring it to a conclusion when it seemed right. As I mentioned above, I also struggled with keeping the girls’ names straight. Alexis: Complete this sentence: If I could spend an afternoon with one of my characters in this book, I would spent it with _________________because _____________________. Darlene: If I could spend an afternoon with one of my characters in this book, I would spend it with Margil because she’s a poet and we would talk about New England and read her poems. Alexis: Thanks for the interview, Darlene! Take care and God bless you. Darlene: Thanks for the challenging and insightful question! The longer I write, the more of a “pantser” I become, and I had to figure out what I had written. Best-selling author Darlene Franklin's greatest claim to fame is that she writes full-time from a nursing home. She lives in Oklahoma, near her son and his family. 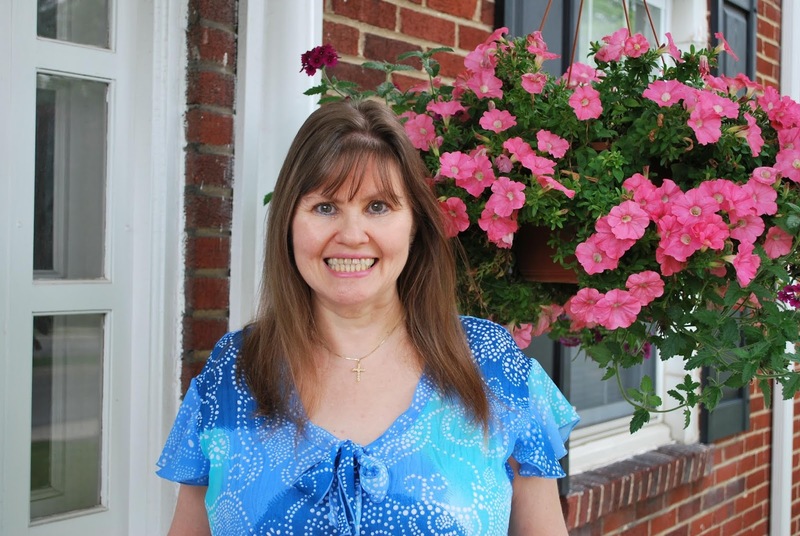 She is an active member of Oklahoma City Christian Fiction Writers, American Christian Fiction Writers, and the Christian Authors Network. 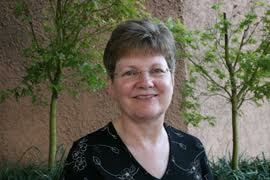 She has written over forty books and more than 250 devotionals. It was 1975. I was ten years old, and my mother had passed away from cancer. To say my world had been rocked would be an understatement. My Aunt Jeanne, who had been one of my mom’s dearest friends, helped my dad by letting me stay with her. If my world had been rocked, his had been decimated. My Aunt Jeanne a few years earlier had accepted the Lord as her Savior. She in turn, led my mother to the Lord during her illness. I didn’t know this then, but it is a comfort to me now. While I was in her care those months, she taught me about God and my own need for a relationship with Him. She taught me to pray by praying with me at bed time and before school and at meals. She taught me about his compassion when she would let me cry, even when I didn’t know myself why I was crying. She taught me about worship by taking me to church, and she taught me about faithfulness by being there whenever I needed her. Her faith in God was the comforting blanket that I needed during that time. It is a blessing to have family members that are also members of the family of God. There are several in my family that fall into that category, and I am so grateful. Like Timothy in our opening verse, it is my family’s faith in God that has directed me in my own relationship with Him and has strengthened me along my journey. Because of my aunt’s strong faith, I knew I was in need. So, during that time with her, I accepted the Lord. I have been walking with Him ever since. The family of faith is awesome, but to have family that walks with you in the faith, is a beautiful thing. Remember, the faith that is in you can be shared with those you love, pass it on. “One generation shall commend your works to another, and shall declare your mighty acts.” ~Psalm 145:4 (ESV). Hello! I’m Bonita Y. McCoy. I hail from the Great State of Alabama where I live on a five-acre farm with three horses, two dogs, two cats, and one husband who I’ve had for over twenty-five years. I am a mother to three mostly grown sons and one beautiful daughter-in-law who joined us from Japan. A Prelude to Christmas: Becky Melby's story "Do You Know What I Know?" When a phone call from the obstetrician’s office goes to the wrong person . . .
Elizabeth Schmidt can’t figure out why her husband doesn’t seem excited about the news she’s sure he heard. Is he unhappy? Or is James cheating on her? Pastor Jay Davidson is in shock. Bethany Schmidt, the woman he’s in love with, is pregnant. Should he walk away, or is God asking him to play the part of Joseph in real life and not just in the church Christmas program? Bethany can’t figure out why Jay is acting so weird. Has he figured out one of the two secrets she’s keeping until after Christmas? Can a ponytailed itinerant carpenter with a pet chicken help unravel the confusion? Enjoy Becky's insights about her novella, found in the following interview! Alexis: Congrats on the publication of your Christmas novel! How did you come up with the story’s title? What is the significance of it being a “Holly Park novella”? Becky: Thank you, Alexis. I liked the idea of using a line from a familiar Christmas carol and giving it a dual meaning. I scrolled through a list of carols and found the perfect verse in “Do You Hear What I Hear?” Holly Park is a fictional Milwaukee neighborhood named in honor of Buddy Holly whose last concert tour began in Milwaukee. I came to love the unique characters in this neighborhood and plan to revisit them soon in another Holly Park story. Alexis: Your story’s premise of a phone call from the OB-GYN going to the wrong person is interesting! What inspired you to make this the core conflict of your story? Becky: My husband Bill is a great brainstorming partner. 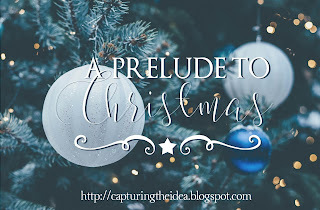 When I decided to write another Christmas novella, he brought up something that happened back in 1973. Back then, there were no home pregnancy tests so I’d gone to the doctor and was overjoyed to find out I was pregnant with our first child. But the bill for that test went to my husband’s aunt and uncle whose daughter was also Becky Melby—she was only fifteen at the time! We’ve had a lot of laughs about that over the years. When Bill brought it up and asked if I could do anything with the idea, I couldn’t wait to get started on this story. Alexis: Who is Elizabeth Schmidt and what role does she play in your story? Give us insight on her character, personality and desires. Becky: Elizabeth is 41 and has been married to James for eighteen years. When they weren’t able to conceive a child earlier in their marriage, they stopped trying. When she finds out her test is positive, she’s afraid to believe it. Elizabeth entertains a steady stream of “what ifs” about pretty much everything in her life. Finding out she’s pregnant births a whole new batch of fears. What if James isn’t happy? What if they fail as parents? What if James isn’t showing excitement over the pregnancy because he’s cheating on her? Elizabeth is an assistant manager at a garden center that becomes a crazy place to work at Christmas. She would love her job if not for her overly-critical boss. She’d love to start her own home decorating business. Alexis: Who is Pastor Jay Davidson? What role does he play in this story? Describe his looks, personality, character flaws and key strengths. Becky: A reader recently told me she wants to marry Pastor Jay, so I guess I’ve managed to describe him the way I see him! He has thick dark hair and brown eyes that make Bethany “melt like butter on pancakes.” Jay is a man of integrity. Above all, he wants to honor God. Having spent his childhood in the foster care system, he has some insecurities. As the pastor of Bethlehem Community Church in Holly Park, he takes the job of shepherding his people and impacting the neighborhood very seriously. He’s an intelligent, well-spoken man, but his confidence disappears when it comes to asking his beautiful church secretary for a third date. Alexis: Tell us about your story’s heroine Bethany Schmidt. What’s she like? Share details on her style, heart, character and strong points. 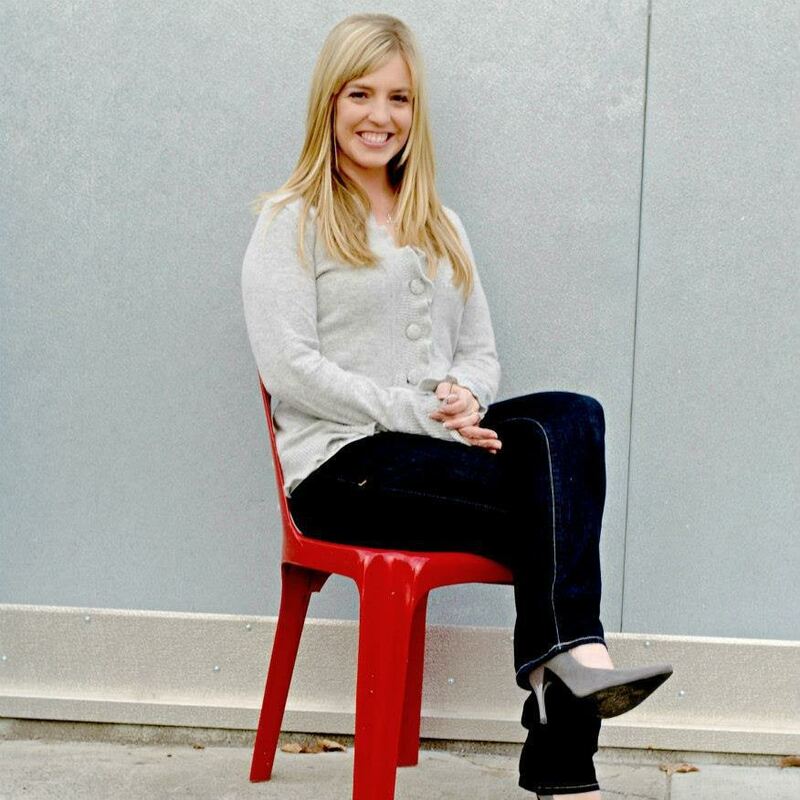 Becky: Bethany is the church secretary and a single mom raising a nine-year-old daughter. Protecting Ava is her top priority. She’s in love with Jay, but no relationship or job is more important than her daughter, and this complicates things. Bethany has a huge heart. As church secretary, she is involved in the lives of church members, the community, and the woman of Serenity, the maternity home started by Bethlehem Community. If asked what she likes to do for fun, she’ll say very few things top the thrill of a good thrift store find. Her clothes and apartment reflect her fun, eclectic second-hand style. Alexis: Why does Pastor Davidson think that Bethany is pregnant? Why would that make him walk away? Why does he wonder if God wants him to be like Joseph was to Mary in the Bible story about the birth of Jesus Christ? Becky: I don’t want to give too much away, but when Jay hears the news he feels betrayed. He’s worked closely with Bethany for five months and he’s been in love with her for almost as long. Why didn’t she tell him herself? And who is the baby’s father? Since he and Bethany are playing Joseph and Mary in the church Christmas program, the parallels are striking. What is God asking him to do? Alexis: Where is the setting for this story? Paint a picture of it with words. Becky: Holly Park is a fictional Milwaukee neighborhood. Like many big city neighborhoods, it was once a beautiful area with well-kept two-story homes and green yards with flower gardens, but over the years it became run-down, physically and morally. Bethlehem Community Church members volunteer to paint houses, and groom yards while forming relationships with residents. The church also has a program to attract entrepreneurs to the area. As homes receive face lifts and new businesses provide jobs for the locals, hope is returning to Holly Park. Alexis: What do you want your readers to cherish about this story? Becky: I want to be like Jay and Bethany and the flawed and forgiven believers of Bethlehem Community church who live their lives focused on following God and making room for his people. It was heartwarming to watch Elizabeth’s ideas of a chic and sophisticated Christmas morph into a desire for something with deeper meaning. I guess what I want my readers to cherish is the idea of always making room for joy. Alexis: Complete this sentence: If I could have Christmas dinner with any of my story’s characters, I would choose to dine with ______________ because ____________________. Becky: If I could have Christmas dinner with any of my story’s characters, I would choose to dine with Hoover and Esther because I learn so much from people who have a deep faith and seem to always be at peace because of their relationship to Christ. And who doesn’t want to have Christmas dinner with a chicken named Esther? Alexis: Thanks for the interview, Becky! Do you want to share any closing thoughts? 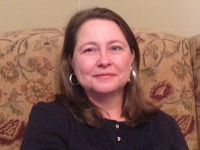 Burlington, Wisconsin author Becky Melby writes Contemporary Christian Fiction. Do You Know What I Know? is her sixteenth book. Married for 44 years, mother of four, grandmother to fifteen, Becky thrives on writing, reading, camping, rides on the back of a silver Gold Wing, and time with family. 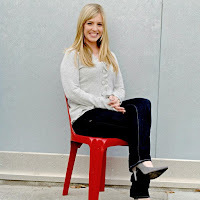 Connect with her at www.beckymelby.com or Facebook.